A 900-pound tuna was caught off the coast of Cape Cod. Gregg Looney and four friends were anchored a few miles outside Provincetown. When Looney dropped his hook into the water he got a big surprise. Looney suddenly felt a hard tug on the line. He knew he caught a fish, but he never expected a 900-pound tuna. Their arms and shoulders were aching from the struggle. However, the men were not willing to let the fish go. As the men fought with the 900-pound tuna, the reel got hotter and hotter. Looney explains that it eventually broke. Thankfully, it did not stop them from reeling in the big fish. Looney and his friends took the tuna back to the docks. The bluefin tuna was nine feet long and weighed 920 pounds. After it was cleaned and the bones were removed, Looney sold the fish for $4,000. That might sound like a lot of money. However, a 500 pound Bluefin tuna was sold for $1.7 million at a Tokyo auction earlier this year. As reported by Huffington Post, the tuna was caught off the coast of Northeastern Japan. It was sold at the Tsukiji fish market. In Tokyo, tuna is used for sushi and sashimi. It is often sold for nearly $25 per slice. 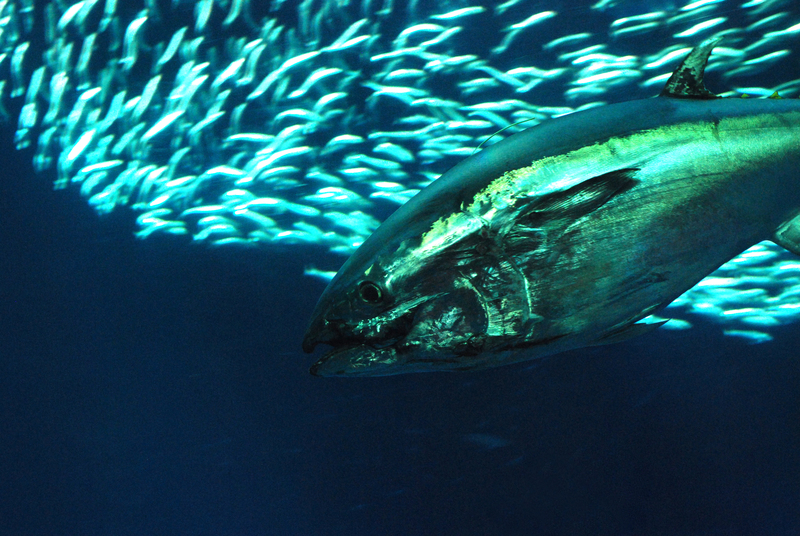 More than 80 percent of the world’s tuna is consumed in Japan. The fish’s popularity has led to concern about worldwide stock depletion. Commercial fishing has been blamed for a sharp decline in their numbers. Gregg Looney and his friends are not commercial fishermen, and they certainly did not expect to make $4,000 for the day’s catch. For them, the experience of catching a 900-pound tuna was priceless.